Today we have a Guest Blogger! 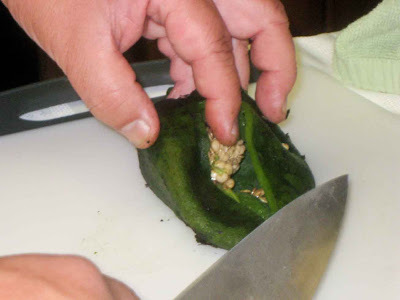 My cousin Tim is showing us how to make Chile Relleno! 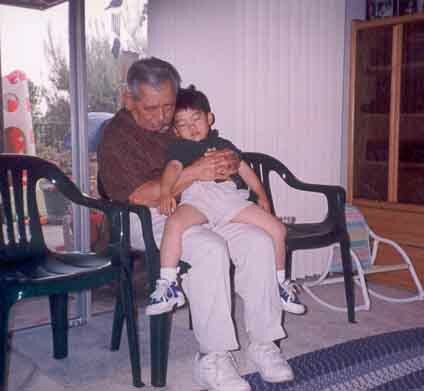 You might remember Tim from my post about all the fun I had with my cousins, spending time with them during family dinners and running around at Bachan's house. 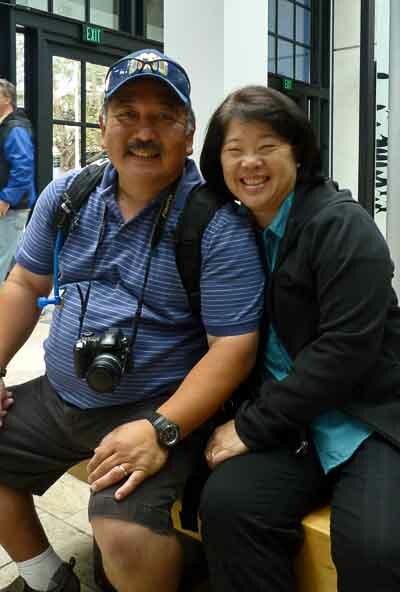 This is Tim and his wife Teri. Teri is my childhood friend--I was simply thrilled when they got together! Here's Tim and Teri's son Bradford and daughter Caitlyn. That's Teri on the right looking like she could be one of the kids. Tim's a great cook, I'm sure he does a lot of cooking at his house! When Tim was writing up his post, he said he followed my format and included a little bit about family at the end. So you, dear readers, are in for a treat! 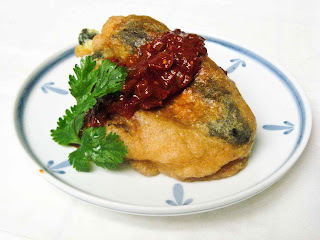 Thanks, Tim, for cooking up your fabulous Chile Rellenos for FOODjimoto! Many years ago, I volunteered at Children's Hospital of Los Angeles in the Rehabilitation Center. I was part of the patient activities program. 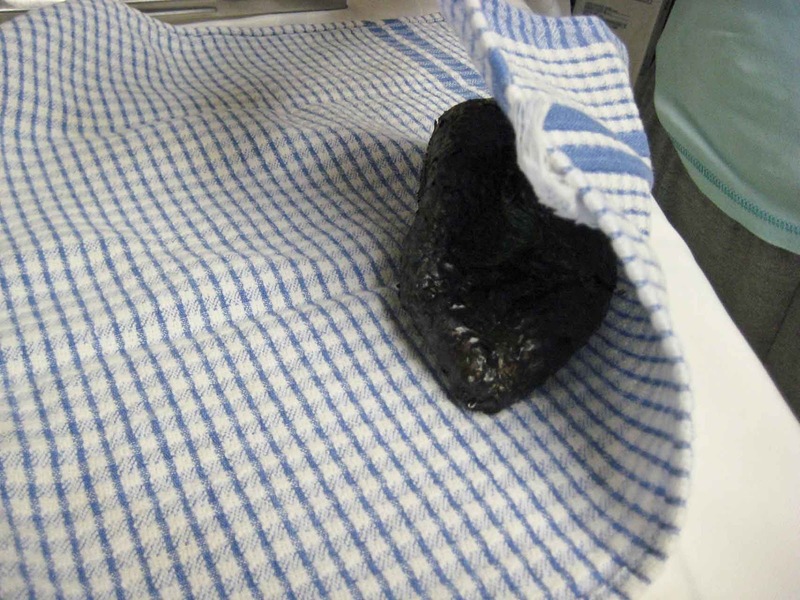 Once a week the patients and their families would prepare their own dinner. 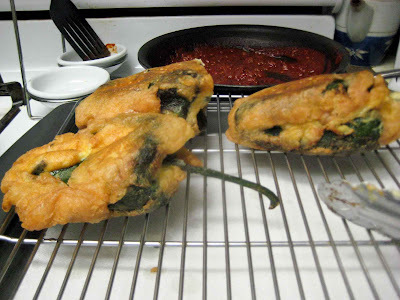 Once, one of the mothers, I cannot recall her name, made Chile Rellenos from scratch. I loved chili rellenos and watched with much interest how she made it. The following is how she did it. 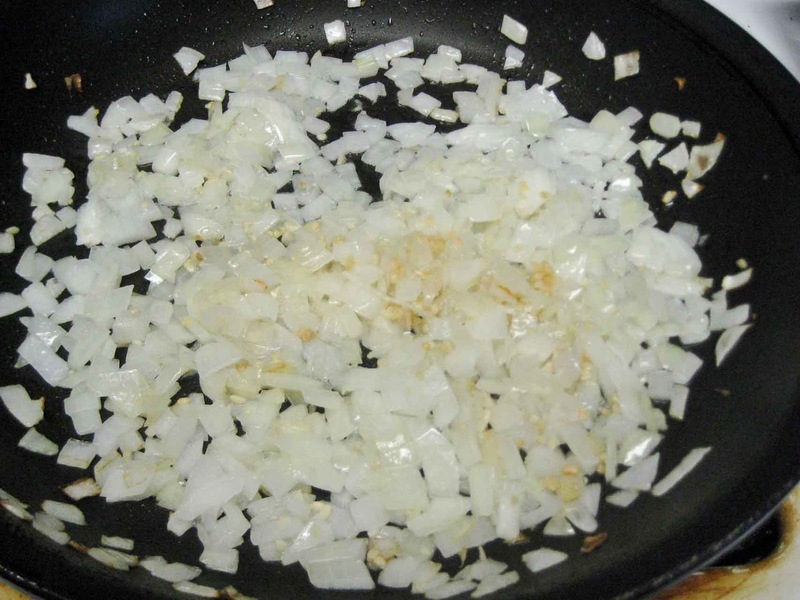 1/2 inch deep vegetable or canola oil in pan heated to 350ºF. Char the outside of the chiles thoroughly. Once completely charred, wrap in a clean dish towel to steam off the skin. You could also put them in a paper bag. Dice one medium-sized onion for the sauce. 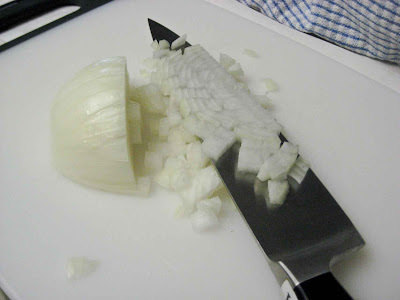 Saute the onion until it starts to get translucent. 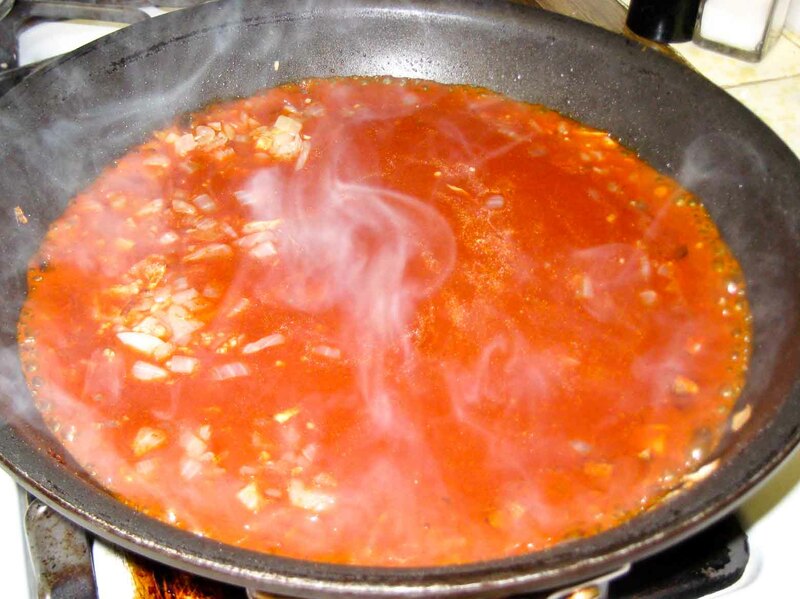 Add the enchilada sauce and simmer to thicken. Once the chiles have been steaming in the towel or in a paper bag, the charred skin can be peeled off easily. 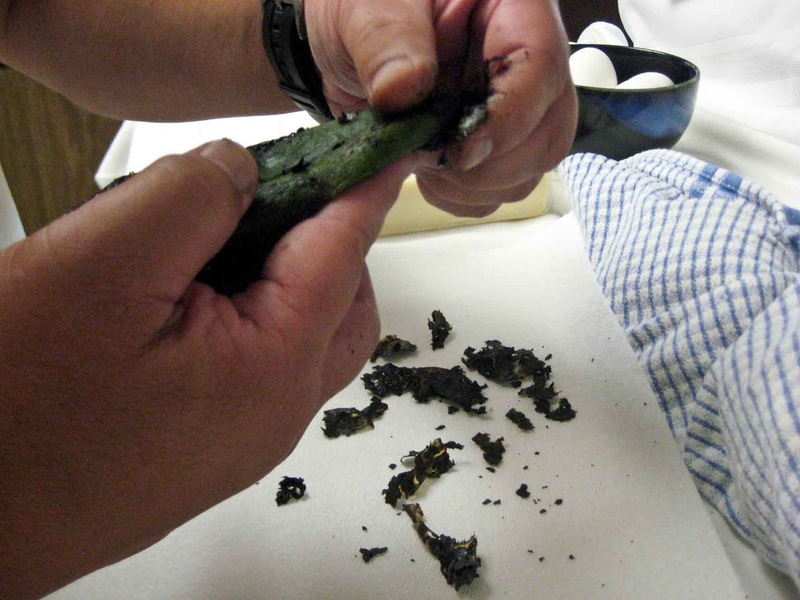 Remove all of the charred skin. You will be left with a whole chile without the skin. 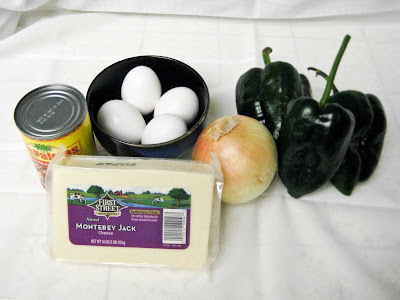 Slice up your cheese into chunks to put inside the chiles. 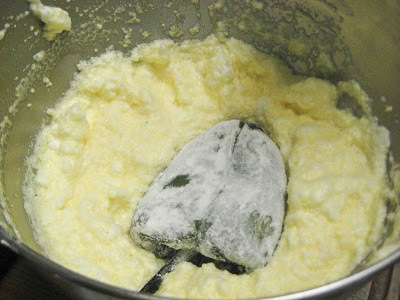 Separate the whites of the eggs and place in mixer bowl to be whipped. Save the yolks, they will be used later. Whip the egg whites until stiff but do not over mix. Open up the chile by making a slit in the side from top to bottom. 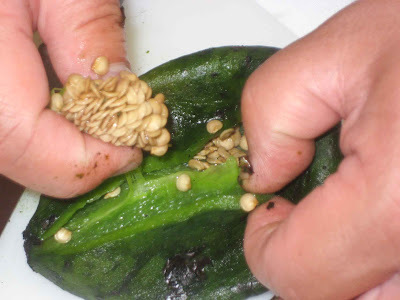 Take out the seeds and membranes if you do not want too much heat. 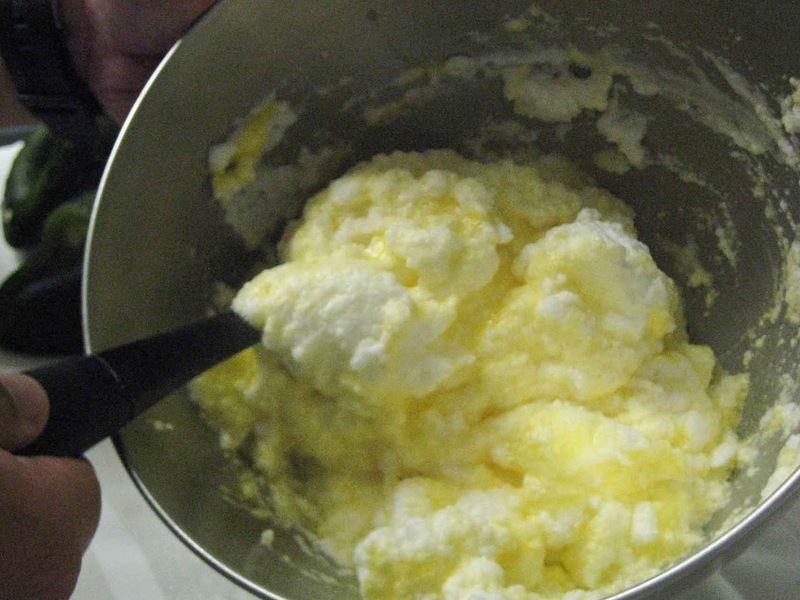 Fold the egg yolks into the whipped egg whites to incorporate. Roll the stuffed chile in all-purpose flour. Fry in pan in 1/2 inch of oil--or you can deep fry them if you have a deep fat fryer. Cook until golden brown, this ensures the cheese inside has melted. I guess my appreciation for good food and making good food came from my father. When we went out to eat, we went dining--to Lawry's or Tam O'Shanter Inn. He continued the tradition with my children at the Dressing Room in Los Feliz. I think my son Bradford has the same appreciation for food too. 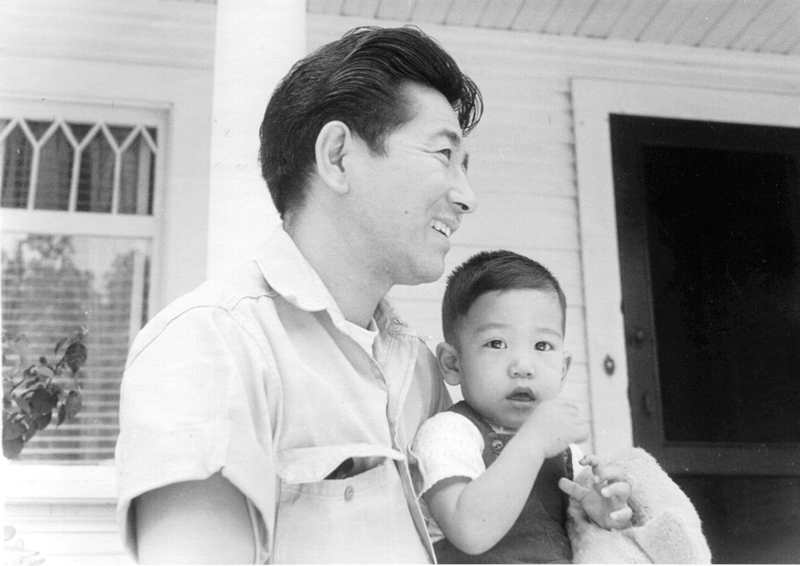 My dad passed away a year ago. 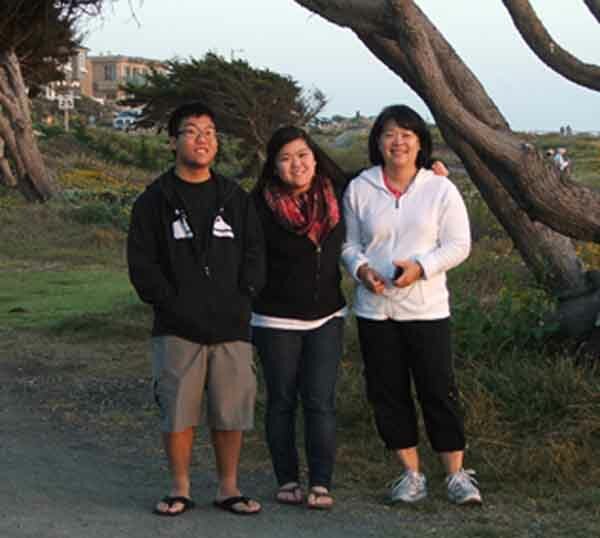 As Karolyn comments in her blogs, family, food and good memories go together. This is a tribute to my dad for all the good food and all the good memories. 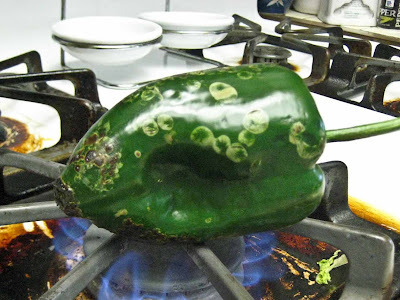 Wash, dry and char chiles completely on burner (BBQ grill or other grill). 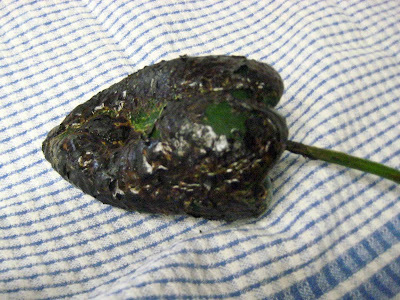 Place charred chiles in a clean dish towel and roll up to cover. 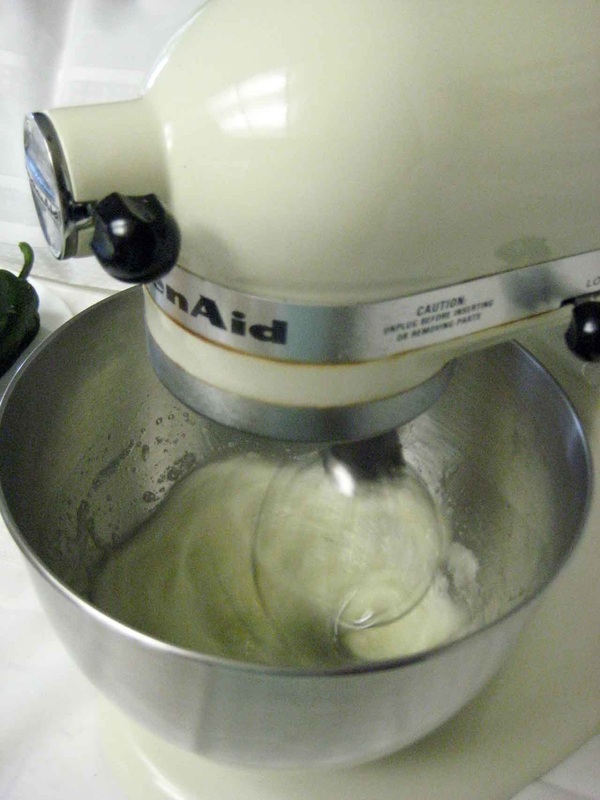 Some recipes say to put in a plastic or paper bag, both work. 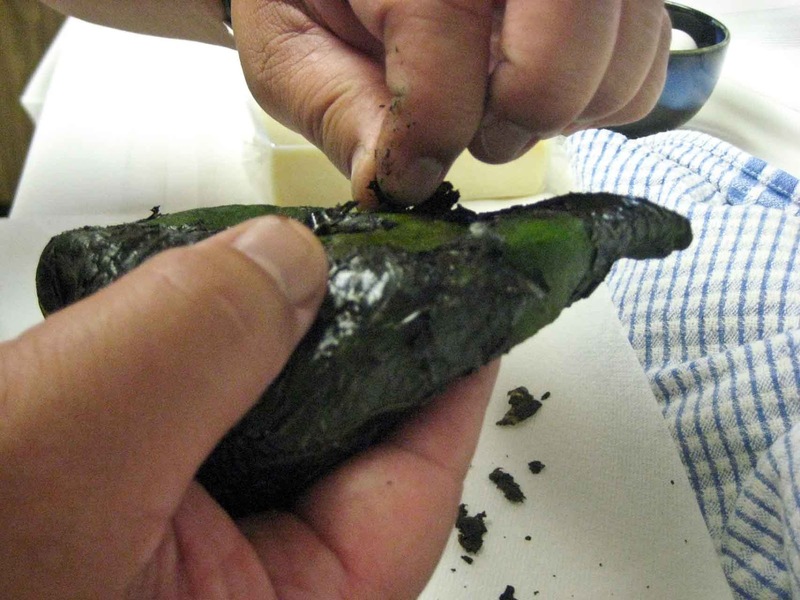 It is mainly to loosen the skin from the flesh of the chiles. Leave for at least 20 minutes. Peel all of the skin off of the chiles but do not rinse them. That washes some of the flavor from charring off. Cut a slit in the side of the chile so that you can cut out the seed pod and this is the opening you will put the cheese into. 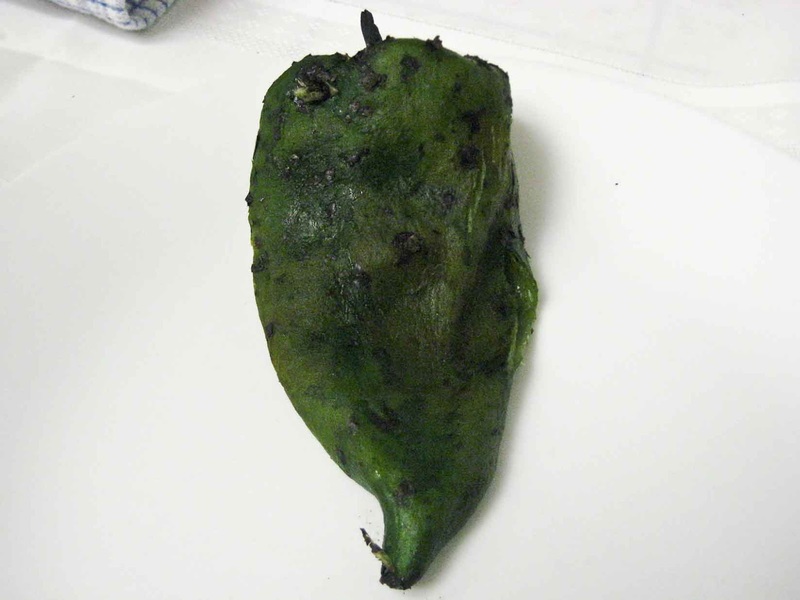 (If you like more spicy chiles, do not remove the pod.) 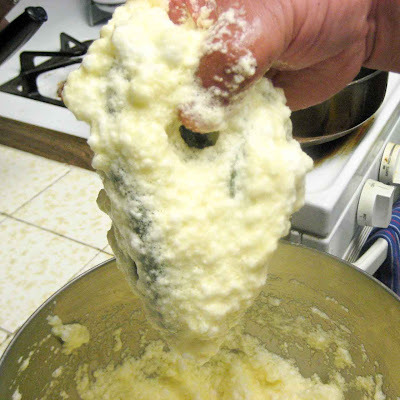 Do not cut the stem off, aesthetic reason--for presentation--and so the cheese does not come out of the top while cooking. 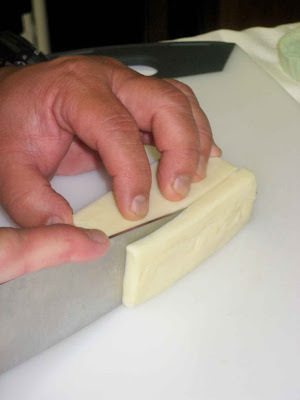 Cut cheese into chunks to fit inside the cavity, do not overfill or you will have a little mess while cooking. Separate the eggs and put the whites into a mixing bowl and whip to a stiff consistency. Make sure the bowl is very clean and cool (if there is any oil in the bowl, the whites will not fluff up as much). 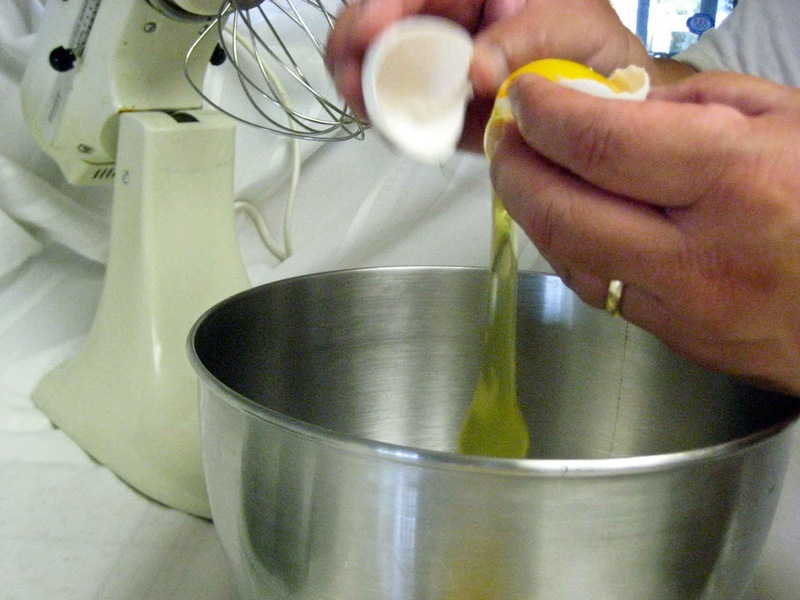 Fold egg yolks into the whipped-up whites to incorporate. 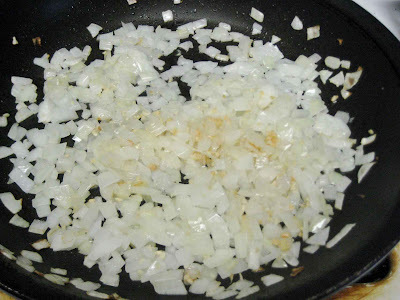 Heat 1/2 inch of oil in a skillet to about 350ºF. 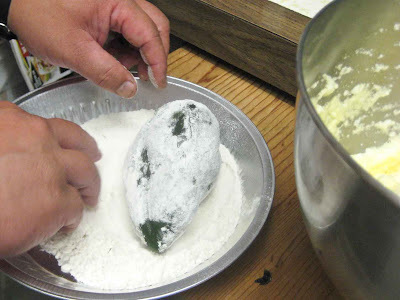 Lightly coat the chiles with flour. 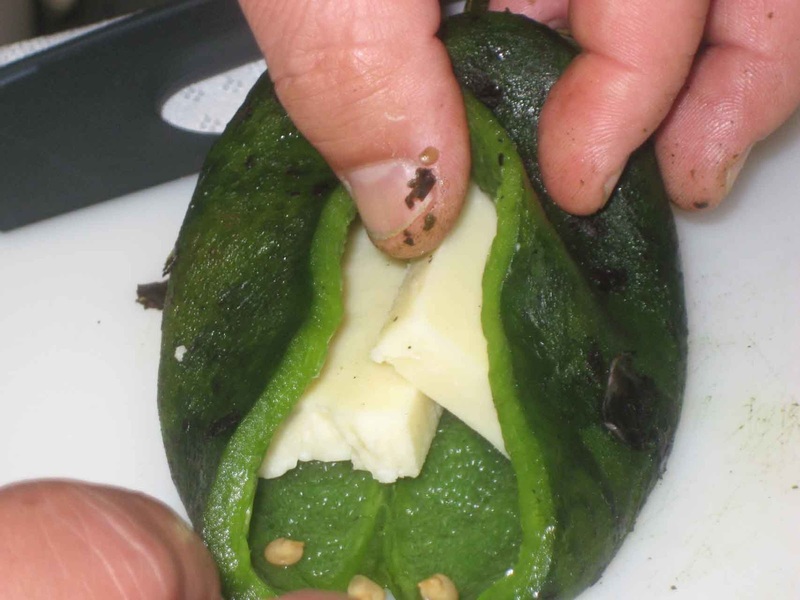 Place them in the egg mixture to coat the chiles. 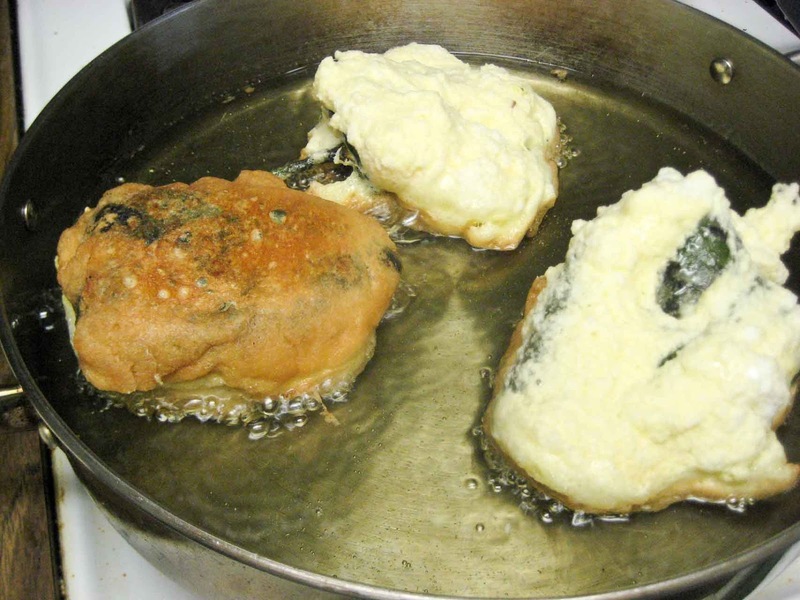 Gently place them in the oil and cook to golden brown. Drain on rack or paper towels. You can eat them plain as a side dish or put any of your favorite sauces or salsas on them. I'm going to have to try to make it. Uncle Tim! I made your chile relleno the other night, and it came out SO DELICIOUS! It was like eating at a restaurant! I didn't have any enchilada sauce or onion for the sauce, but I did have a can of chipotle chiles in adobo sauce, which I mixed with a can of fire-roasted tomatoes, a squeeze of lemon and some spices. Mitchell loved it too! Thanks for sharing! YUM!